*The Transmitter supports Learning Code(1527) Common Chip, such as, PT1527, EV1527, etc. 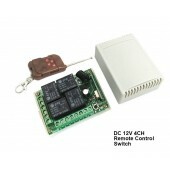 Compatible with the most of 1527 Remote Control Relay Receiver Panel. *The Receiver Module supports Multiple Working Mode: Momentary, Toggle, Latching and Time Delay Mode. *Stable circuit, high accurate and high-effective, individuation and humanization design, bringing you much convenient. 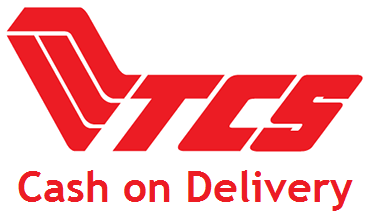 *Support storing the quantity of remote control: 25Pcs (NOTE: The system can store for 25 pcs of remotes, if the remote get more than 25 pcs , the initial remote control will be lost). *Adopts imported high-frequency triode, owning 10mW Transmitting Power. *Easy to use: Easy to install and use, the 4 channel remote control system lets you take control of your gadgets, car and home or garage. *Widely Use: Perfect Suitable for controlling electrically operated gate, retractable door, garage door, electric curtain automobile, motorcycle and other telecommand equipments. 2.This remote can not be programmed. 3.We don't offer retail package, but we will pack it well before shipped out. 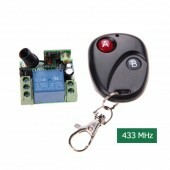 This Product includes two small gadgets, including a Remote Control Transmitter and Remote Control Relay Receiver Module, which is a entire transmitting and receiving remote control system. And comes with ultra-strong function and bring you much convenience in your daily life. It support remotely and wirelessly control your Garage Door, Electronic Gates, Electrical Appliances and other telecommand equipment within 50m (free space). Remote Control Range: >50m (Free Space). Wired Connection Way: Fixed Wiring Pillar. 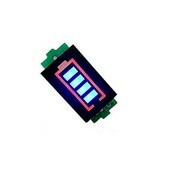 +V : 12V + (Input). - V: 12V - (Input).